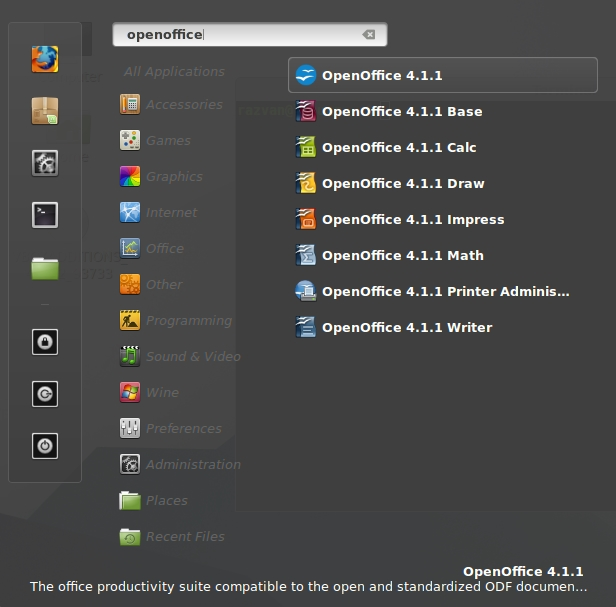 In this article I will show you how to install Apache OpenOffice 4.1.1 on Ubuntu 14.10 Utopic Unicorn, Ubuntu 14.04 Trusty Tahr, Ubuntu 12.04 Precise Pangolin, Linux Mint 17 Qiana, Linux Mint 13 Maya, Pinguy OS 14.04, LXLE 14.04, Linux Lite 2.0, Elementary OS 0.3 Freya, Elementary OS 0.2 Luna, Deepin 2014, Peppermint Five, Debian 8 Jessie, Debian 7 Wheezy and other Ubuntu and Debian derivative systems. Because it is not available via any repository or PPA, we have to download the deb packages from sourceforge and install the via dpkg. Simple and clear instructions! Thanks a ton! thanks very much for this! you rock! THANK YOU!!! I’ve been searching for this all night! Works Perfect, Thanks a bunch….. Attention Newbs: Don’t copy the $ symbol…..
awesome -thx for the great help !! Thanks for your help, and the accompanying explanations of what’s being done. Is java runtime environment (JRE) required for running Open Office?